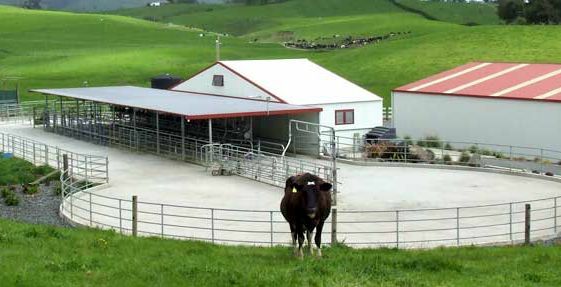 Chapman Dairy™ are specialists in the design and construction of farm dairies and other buildings necessary for high producing dairy farms. Originating in the Waikato region of New Zealand, Chapman Dairy™ have licensed construction teams operating across New Zealand. We bring the best features of New Zealand pastoral based farming systems to you, the farmer. Our experience in this field ensures that the finished farm dairy facilities will add value to your farming operation by optimising farm labour resources and providing a great workplace environment for farm staff. Dairy stock will also benefit from our free-flowing yard and handling areas, resulting in less stress on animals during milking or feeding operations. We operate independently from milking machinery companies, enabling you to have your own choice of milking equipment installed in your farm dairy. We strive to provide you with the best possible farm dairy facilities, for a cost-competitive investment.